NEW YORK (WABC) -- When MTA officials meet Wednesday, January 25th, it is expected they will raise the fare to $3.00 for a single ride. The MTA board had considered two options, the $3.00 fare or to decrease the round trip bonus to 5% rather than the present 11% bonus. MTA data indicates that the majority of riders use the bonus pay per ride and the $3 fare raise would be the best deal. If the board approves the fare hike recommendation, it will go into effect March 19th. 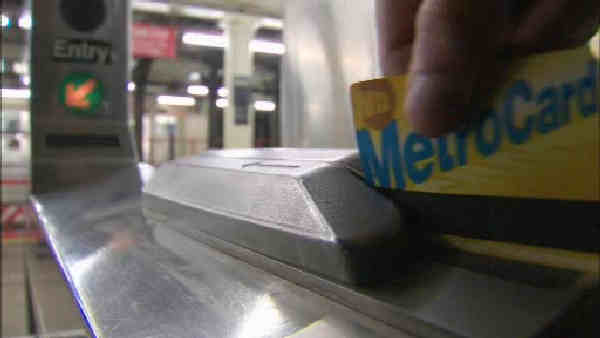 The monthly MetroCard would increase from $116.50 to $121, and the 7-day pass would go up $1 to $32. Express bus fares would be $7. There would be a 16% bonus for every $6 loaded onto the card. The MTA has adhered to a schedule of biennial fare increases since 2009. In 2013, the MTA reduced the planned hikes to 4% from the original 7.5%.